- Try your luck with the Easter Egg Hunt, Lucky Dip, Mystery Bottles, Tombola, Marble Run, and Spin the Wheel. - Have a go at the obstacle course, face painting, hair braiding, smash palace, dog show, noddy train, games alley, paintball, bouncy castle, giant slide, roller ball, fire truck or paddle boats. - Grab a bargain at the garage sale, the toy, book and clothes stalls, and the live auction. - Or just relax and enjoy a delicious lunch from our food stalls, coffee cart and cafe, while being entertained by the Greenacres kapa haka group and choir. The gala is a wonderful opportunity for the wider community to come together to support our school, while having a great time doing it. 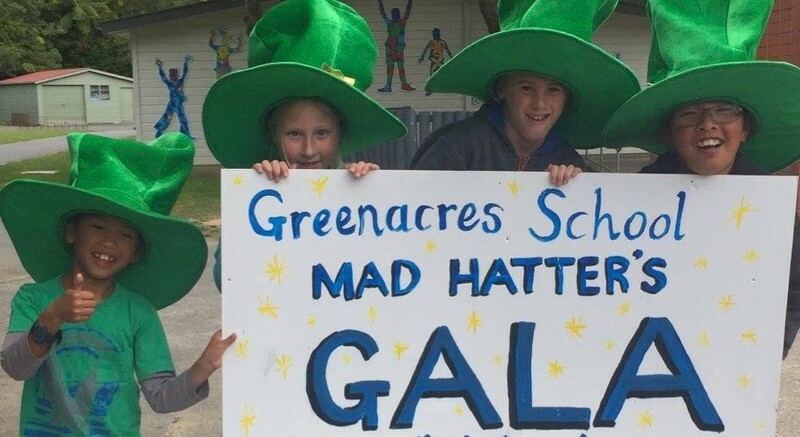 It is the major annual fundraising event for Greenacres School and funds raised will contribute towards developing our outdoor creative learning and playing areas.